A brand is created out of thousands of experiences with products, services and systems created by people. Therefore, the employees of every company are the driving force of strategy and should be the core element in business design. The C-suite vision is useless without the culture, rewards, process, strategy and structure that effectively support them. Despite the importance of employees, however, few companies give as much attention to their workforce planning as they do capital investments or production. Instead, CEOs often pay lip service when they refer to people as their company’s most important asset and simply allow culture to happen by chance. If CEOs and Chief Marketing Officers (CMOs) are serious about building an iconic brand, the Human Resource (HR) function must become gatekeepers and cultivators of culture by aligning all of their responsibilities with the brand proposition – the recruitment processes, training and leadership development, compensation systems as well as analytics and measurement. None of these strategies exist in a vacuum – they are all deeply interconnected. Improvements in each function assist the others and they must all work in concert to elevate the organisation. The recruitment stage, for example, should have culture in mind. Similarly, retention systems should aim to create the kind of organisation that causes great people to flock toward recruiters. On-brand recruiting and hiring: HR’s leadership role in brand development begins by attracting and welcoming the right people. The goal of a brand-driven organization should be to have their core values so ingrained into employees’ minds that they consistently ask themselves: How will this decision impact upon our brand? Today’s best brands have wrapped the goals and vision of their company around the needs, values and emotions of their customers. Therefore, organisations should be looking for people who are independently driven to want to do the best thing for customers. This type of customer-centric culture is vital because no matter how well structured a company’s processes and systems are, it will not be possible to script every possible scenario. When employees are armed with the right value systems, they are more likely to act spontaneously in the right way. This type of customer-centric behaviour is more easily hired than trained. According to Virgin Group founder Sir Richard Branson, the number one thing that matters with new hires is whether they genuinely care about people. Similarly, Howard Schultz, founder and CEO of Starbucks emphasizes: We are a people company that serves coffee, not the other way around. Skills can be developed over time but behaviours are much more difficult to change, so interviews must zero in on these abilities by encouraging storytelling of where candidates have previously excelled at delivering great experiences. While qualifications, education, and experience are elements that get a candidate an interview, personality, passion and cultural fit for their work environment should be the deciding factors of whether someone gets the job. Companies should always promote a goal that is higher than just succeeding in the competitive landscape around them. Applicants that gravitate to a company because of its financial success without a deeper connection with their work will not have the staying-power to create a great customer experience. Beliefs are also job-skills, and recruiters should be most interested in those that are drawn to the company because of its purpose and long-term vision. By fiercely protecting their corporate culture, selective brands will not just attract more of the right candidates – they are proven to improve financial results as well. Companies with a high percentage of enthusiastic, committed and engaged employees outperform their competitors in customer satisfaction, productivity, and profitability. On-brand rewards and retention: It is not enough for HR to simply hire the right people described above and expect them to stay forever. Once they are on board, brands have to work hard to create a meaningful and enjoyable work environment and prevent a drain on their internal culture. From a financial perspective, happy employees defined by surveys of the best places to work have outperformed their benchmark stock indexes by over four times in the last decade. While employee wellness programs can reduce absenteeism and stress while improving work-life balance and employee engagement, one of the biggest reasons people leave their companies is due to lack of opportunity. Talented people want to grow. Therefore, HR must institutionalise a system of communication that identifies top performers according to brand values early and engages them in development conversations as soon as possible. Otherwise, these key people may turn to growth opportunities elsewhere. Unfortunately, greedy managers have a tendency to hold on to their “superstars” instead of helping them develop, so HR must have their own methods of identifying talent other than feedback from managers only. In terms of motivation, the “carrot and stick” system of reward-and-punishment is no longer effective in today’s complex organisations. Brands must look to reward employees far beyond monetary compensation. This does not mean paying people less than they deserve. People who feel they are being unfairly paid will instead focus their attention on the unfairness of the situation, resulting in lower motivation and higher resentment. Rewards should increasingly speak to the emotional needs of individuals. For example, 67% of workers say praise and approval from a manager is what truly motivates them more than incremental financial rewards. Companies that provide ample employee recognition also have 31% lower voluntary turnover rates than those that do not. Not all recognition, however, is created equal. While some employees value recognition most when presented in front of the entire company, others value a quiet lunch with their leader or a personalised note or gift. It’s up to a manager to get to know these preferences. Overworked employees are a huge source of dissent and unhappiness in the work place. Eventually, even top performers will see a decline in marginal performance with the more work that is required of them – not to mention increased anger, frustration and, eventually, disillusionment. HR must therefore play an active role in organisational disruption by consulting with employees on areas where bureaucracy, bottlenecks and unnecessary layers of administration can be eliminated and where more people are needed. In this way, HR can become a source of operational innovation in the name of creating a better work environment for its people and a more streamlined process for the organisation. Fewer requirements in the workplace means healthier balance for each employee – something that Marissa Mayer, CEO of Yahoo believes is the key to sustaining loyalty. By making sure they get to do the things that are most important to them outside of work, being generous with time off and hiring more people to get better work done, employees can feel rewarded in other ways than picking up a pay check. HR representatives also need to take a serious look at whether their employee ranking systems are having an opposite effect on motivation and retention. Stack ranking, for example – a system which limits the number of people that can be designated top performers and mandates a specific number of low performers be selected – creates intense pressure that often pushes great performers out. How can even exceptional people feel confident they will get their just rewards when they are aware that the system in which they are measured is so obviously and inherently flawed? While it remains important for succession planning and reward systems for employees to be rated in to categories or numerically ranked, using a bell curve with strict cut-offs is a grossly unfair practice. Today, these types of systems are increasingly being phased out by a number of high profile organisations, including Microsoft, in favour of those that are more flexible. Brands may also need to rethink exactly how they define “top performers”. These metrics must relate to the values of the brand and needs of consumers. Prior to 2011, for example, the bonus pay for pharmaceutical sales professionals of GlaxoSmithKline (GSK) was tied directly to prescriptions sold. Finally succumbing to pressure that their incentive systems were more focused on the interests of sales people, it changed the emphasis toward helping doctors’ better serve patients. GSK began to reward representatives for their patient focus, understanding of their customer, problem solving and scientific knowledge. With more positive feedback from physicians and financial results to back it up, GSK is now extending these incentives to all 140 countries it serves. You get the behavior you reward. 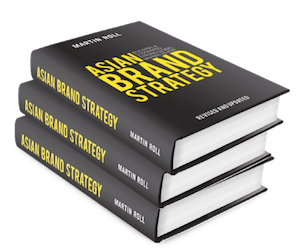 In 90 countries across the globe, 75% of companies say they struggle to attract top people because few of them feel they have a compelling and engaging employment brand. Improving the rewards and employee support systems described above is vital for creating a workplace that can keep its best people. Creating an environment where people thrive benefits the recruiting processes by attracting more of the same great people. With less staff turnover, HR functions will not have to act in desperation in order to fill vacancies and can be much more selective and patient in their hiring. To this end, the best recruitment strategy is often a solid retention strategy. On-brand training and reinforcement: No matter how perfect a recruitment process, not everyone in the organisation will be an ideal brand and customer-oriented employee. Therefore, training systems are needed to influence behaviours over time. The objective of internal communication strategies led by HR should be for all employees to think like marketers. Employees must understand the company’s mission, vision, values and brand promise. They need to know in detail meaningful stories from the brand’s history and legacy, who the target customers are, what they expect, their needs, desires and, most importantly, how their own role in the organisation contributes to delivering the differentiated customer experiences that are so sought after today. To reinforce the training, leaders should allocate a few minutes in each team meeting for regular marketing, branding and other competitive development updates as well as encourage employees to stay connected with their company’s social media pages. Management-specific training must also receive special attention. Almost 90% of HR leaders believe they do not have an adequate leadership pipeline and 79% of businesses consider leadership their number one business challenge. Firstly, management training programs support long-term retention by letting those involved see a future for themselves in the company. If not actively engaged in continual, complex dialogue about their career, top performing people may perceive it as a lack of company support and be inclined to look elsewhere. Secondly, these programs teach the leadership skills necessary to create a powerful culture by inspiring and empowering their people to deliver on the brand promise. The quality of management makes a huge difference in how employees feel about their job and whether they will be able to grow personally and professionally. Exceptional leaders account for at least 70% of employee engagement and can contribute 48% higher profit than average managers. As the global business environment has become more unpredictable and complex, leadership factors now have a much more predictive impact on company performance than economic conditions, industry factors, and a firm’s overall health. Not all traits of great leaders are innate, however. More employees now view the traditional archetype of boisterous managers as more of an obstacle to their effectiveness than as an enabler of it. When employees start to feel like they succeed despite, not because of their leaders, they will eventually move on, leaving only average performers behind. Managers must be taught how to become leaders and HR representatives must understand what it really means to be a leader in the twenty first century in order to identify and groom prospective leaders. To a greater extent than management, leadership requires exceptional interpersonal skills and emotional intelligence. In a world where everyone is unique, there is no one-size-fits-all leadership strategy. To ensure everyone is pulling in the same direction, leaders must have the adaptability to treat everyone a little bit differently. Leaders must be highly sensitive to what is relevant to each individual to communicate in a way that relates to what they value. The best leaders manage individuals the way that they want to be managed, rather than the way they prefer to manage. While management is about control, leadership is about empowerment. A sense of power and responsibility has dramatic effects on behaviour, making people better at focusing on information, identifying patterns, being decisive, energetic and optimistic. Empowerment gives people a sense of accomplishment, making their daily tasks intrinsically motivating. To empower others, managers need to exercise a great deal of restraint in order to do what’s best for the group. Leadership is about inspiration, guidance, support and encouraging teams to voice perspectives and dissent. Speak-up cultures are one of the most effective means of improving performance, yet less than half of leaders in successful organizations encourage a culture of disruption among their subordinates. The above leadership qualities remain the exception rather than the rule. When promoting people, HR must pay special attention to those who are reflecting these traits today. Research has found that companies fail to choose the right candidate for important roles 82% of the time. Therefore, understanding the essence of leadership is vital for companies to identify and develop their future leaders and to avoid mistakes in promotion and hiring. In every organization there is an employee with high leadership potential waiting to be discovered. It is even believed that one in ten people possess the necessary traits of a modern leader. HR should be actively seeking those who challenge the status quo and have a sincere desire to fulfil the basic human needs of others – not themselves – in pursuit of a shared vision. On-brand measurement and analytics: For HR to take a more active role in delivering brand value, analytical skills are the next frontier. Because words like “asset” and “capital” are frequently used to describe people, it makes sense to introduce a more data-driven and technical approach. Just like HR executives must combine forces with the CMO in terms of how they hire and train employees, they must also combine forces with the CIO in terms of how they incorporate technology in every stage of the pipeline. With software, the principles of just-in-time supply chain management can now be applied to human resources. Talent planning models can measure attrition rates, employee morale, competitor financial results, salary trends and other macroeconomic factors to project long-term hiring needs of an industry as a whole or down to a particular business unit. From there, recruitment databases that can highlight people who have personal connection with their brand, such as those already following the company LinkedIn page or participating in charitable causes the brand is associated with. Proper use of technology can be used to keep track and nurture potential outside candidates or internal replacements long before staffing needs arise – getting an important jump on competitors. Since teamwork, passion and engagement are such vital components for the development of a brand-centric culture, these softer aspects of chemistry have to be quantified and rewarded. If a brand can accurately measure the characteristics of their high-performers, they can further unlock leadership potential within them and take steps to assemble higher-functioning teams whose individual talents combine to create a whole significantly greater than the sum of their parts. Some pioneering companies are even using sensors placed in employee identification badges to gather real-time information on productivity, movement, posture and tone of voice in order to understand how passionate people are in different situations, with different co-workers and how they can work more effectively. Workforce analytics will also help to ensure that people feel that their growth in the organisation will depend less on politics and more on merit. Performance measures should not be imposed from above but created out of conversations with each unit based on their biggest challenges and opportunities today. Meaningful reward systems rely heavily on the right measures of performance. People are by far the most important driver of brand loyalty. Only by more closely aligning the hiring processes, compensation systems, training, recognition and measurement schemes by tying them directly to the brand proposition and ideal culture, can companies expect to provide a differentiated customer experience. Often viewed as an administrative unit and as enforcers of rules and regulations, the HR function of any company could instead become pillar of organizational excellence. To grab a hold of this role, tomorrow’s successful HR professionals will need to master important competencies that are far outside their current areas of expertise including logistics, finance, economics and behavioural psychology. Because most of today’s HR executives are not equipped with the skills and resources needed for such a transformation, the C-suite has to open the door for HR to become a central figure in leadership and rethink how they can remain competitive over the long-term. People need investment, and this includes HR executives as well. Aside from the verbal support of senior management, the types of changes described above will require financial support. While these initiatives cost money, failure to retain top performers can cost the company just as much or even more. Although precise figures are hard to measure, companies are surely losing the future value of engaged employees that would stay and contribute to the organisation if it focused on the appropriate reward, retention and wellness schemes. People who are not a good fit for the organisation are also a waste of money. Resources and rewards spent on people who do not see a long-term future in the organisation can be considered subsidies toward direct competitors when these people eventually leave for greener pastures and take their experience with them. One study by has stated that 18% of employees are so “actively disengaged” that they undermine the work of the people around them, costing businesses up to USD 550 billion annually. Tony Hsieh, the CEO of Zappos – which is regularly named one of the top 100 best places to work in the United States – once estimated that his own bad hires and the decisions that result from them have cost the company well over USD 100 million. With this in mind, CFOs should surely be in favour of using all means necessary to improve retention, engagement, identify “bad apples” and make the right hiring and leadership decisions. Human intangibles create the difference between iconic brands and commoditized competitors. Therefore, the HR function should take primary responsibility for providing advice and direction for the organisation’s most important asset – its people.